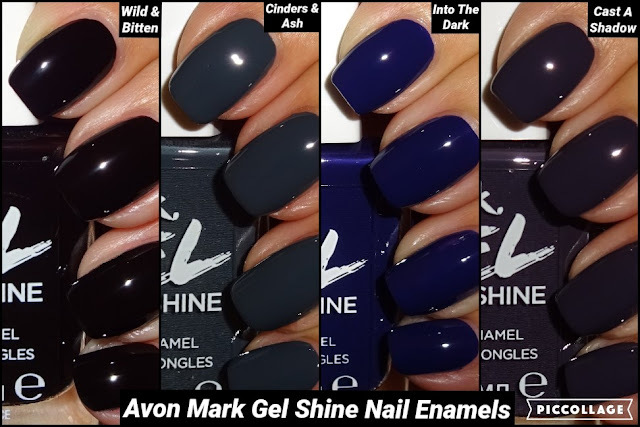 Here are four brand new shades from Avon's Mark Gel Shine range. A collection of rich dark vampy colours, perfect for the winter months. 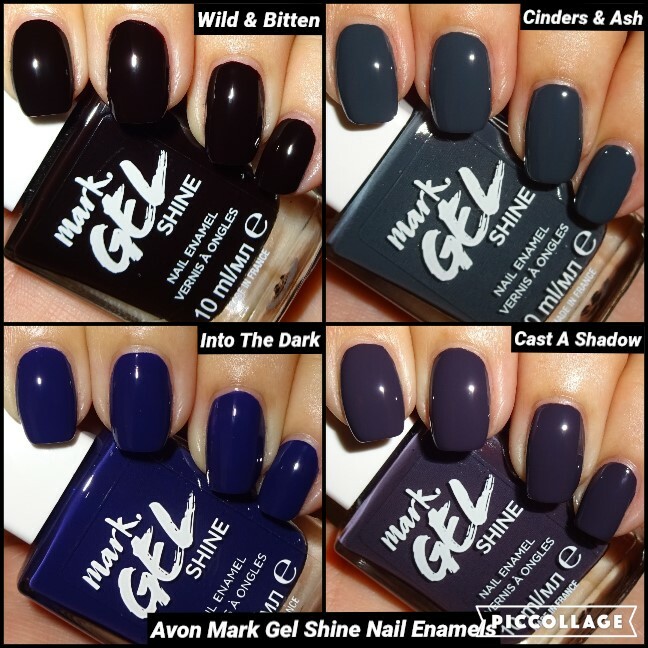 All swatches are two coats and without a top coat to show you how glossy they are. Into the Dark is a dark inky blue, almost touching purple. My camera flash has made the photo on the left look Royal blue, but it's deffo more navy.